PHOTO BY Possible future site of Palazzo Plaza. The Daniele family has presented its vision for Palazzo Plaza, a high-end retail development planned for a busy stretch of Monroe Avenue in Brighton. Now, the town is getting into the details of the proposal, starting with an in-depth environmental review. The plaza would be anchored by a 50,000-square-foot Whole Foods store. Daniele Family Companies would build the plaza on the site of Mario's Italian Restaurant and the Clover Lanes building — both would be torn down, and Mario's would relocate. The fate of Clover Lanes is not clear. 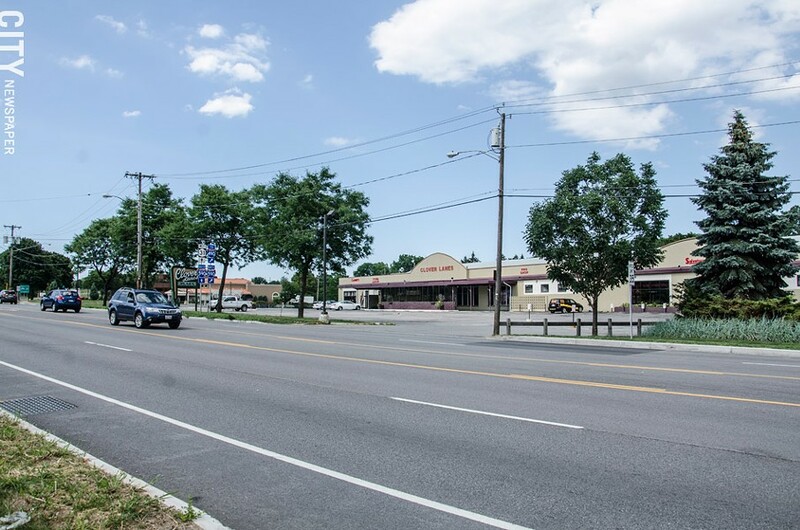 The Brighton Town Board determined that the project would have a major impact on its surroundings — traffic is a significant issue — and required the developer to prepare a detailed environmental analysis of the project. The developer has submitted a draft outline of the issues that the analysis will address. The board will hold a public meeting on that outline at 7 p.m. on Wednesday, September 9, at Brighton Town Hall, 2300 Elmwood Avenue. The developer's outline touches on drainage, design, lighting, traffic coming in and out of the project site, and other issues. After the hearing and a written comment period ending September 11, the Town Board will likely add its own issues for the developer to study, says town planner Ramsey Boehner. For example, the board will probably seek additional information on traffic, he says, and will want to make sure that the project's visual impacts are addressed. "We've been fairly reasonable with the town," Werzinger says. 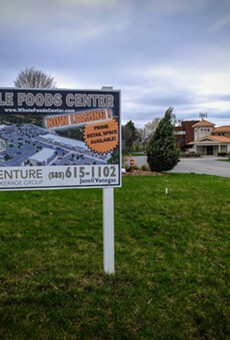 Daniele Family Companies has submitted an incentive zoning application to the town, which must be approved by the Town Board in order for the project to proceed. And the board can't issue that approval until the environmental review is complete. The town's Planning Board also has to approve Palazzo Plaza's site plan. The project requires incentive zoning because the plans vary from some town zoning requirements. The plans call for denser development than town laws allow. They also place two drive-thrus in the front of the property, which is not allowed by town code. In exchange, Brighton would get some public improvements, including improvements to a trail at the rear of the site and bike parking at the plaza.